Understanding colour is crucial to so many things in life. The strong, deep red of a stop sign lets you know that it’s time to hit the brakes. The vibrant, eye-catching pinks, purples and oranges of plants in the Amazon rainforest are a warning that they’re deadly and not to be trifled with. And while that understanding of colour theory is just as crucial when it comes to designing custom packaging, printing on custom packaging adds a new wrinkle to the whole thing. Knowing how display colours and printed colours vary is absolutely vital to nailing down the exact look and feel that you want for your branded packaging. When you’re prepping for printing on custom packaging, here’s the 3 colour formats you’ll want to remember. Your computer screen adds together Red, Green and Blue to create all the colours displayed on it. They appear bright and vibrant because of how screens emit light (an effect called backlighting). It’s important to know that RGB was developed to match what the human eye can see, and is used for graphic design and photography that is limited to screens (computers, tablets, phones and televisions). Graphic design and photography that will be printed needs to be in the CMYK colour format. Whereas RGB is an additive format and emits light, CMYK is a subtractive format and absorbs it. As one of the ink-based colour formats, it’s comprised of 4 colours—Cyan, Magenta, Yellow and Black. “K” is used to refer to Black because it’s the key colour during printing, and because “B” already represents Blue in RGB. Printing custom packaging involves ink, which is why files must be in CMYK format. This ensures proper colour reproduction in the final product, no matter who does the printing. Keep in mind that your computer screen uses RGB and is unable to display actual CMYK. That final product will look a little different once printed, so it’s important to understand how things will turn out. Pantone Matching System (PMS) uses a special mixture of inks to create specific custom colours. As it doesn’t use CMYK ink, attempts to match the two are difficult, and often result in a noticeable difference in colour. Pantone is often favoured in projects where colours must be exact, such as in the branding of a major, highly-recognizable company. PMS colours are also defined by a letter at the end of their number or name. “U” is meant for printing on uncoated paper—the colour will end up darker, richer and more matte. Most often used in everyday projects, it can also give a more prestigious and distinguished look to a finished product. “C” is meant for printing on coated paper—the colour will end up brighter, more vibrant and have a shine to it. It’s typically used in promotional materials, magazines and high-end packaging. 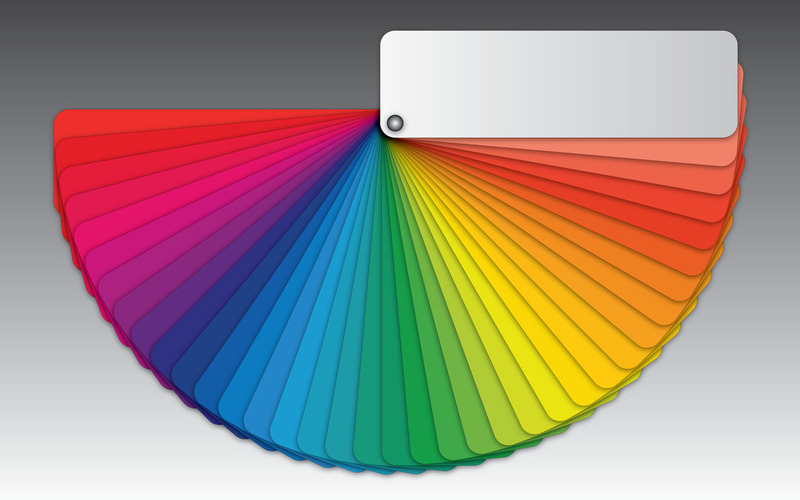 Hexadecimal Colour Codes, referred to simply as HEX codes, are an easy way to specify colour choices on the internet (most often in webpages and email newsletters). Since they’re based on RGB values, HEX simply defines the amounts of red, green and blue that make up a colour. HEX codes are presented in character blocks of letters and numbers like this: #FFFFFF. The first two characters represent Red, the next two are for Green and the final two are for Blue. While they’re mainly for aiding design on a screen, they can be used in an interesting hack when designing for print. Most image editing programs have a colour picker function, letting you enter colour values for RGB, CMYK and HEX. Typically, when you enter in values for any colour format, you’ll see the other formats update as well. So, if you’re creating a webpage and need the HEX code for one of your branding colours, typing in RGB or CMYK values will output the equivalent HEX. It works in reverse, too. Input your HEX code and you’ll see the RGB and CMYK equivalents. Colour formats are an integral part of the design and printing of custom packaging. It’s important to know the correct format and values your project needs, or your end product can suffer as a result. But, with this guide to the colour formats, and The Packaging Company by your side, printing on custom packaging will be everything you want it to be.